It was an action-packed week here at the Panhandle PBS/FM 90 studios for a group of soon-to-be eighth-graders from across Amarillo. 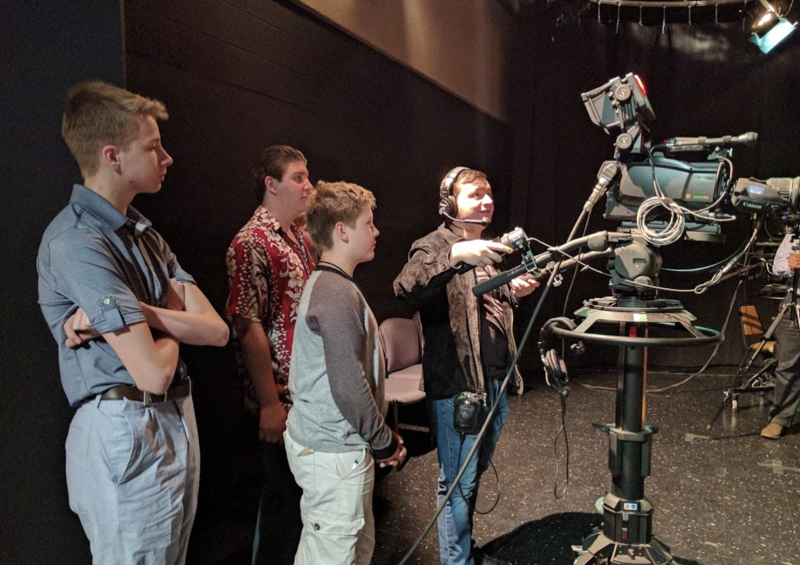 The annual media camp – part of Amarillo College's summer Kids' College program and sponsored by Panhandle PBS – wrapped up on Thursday. Led by AC Matney Mass Media coordinator and assistant professor Jill Gibson and instructor Brian Frank, students created reported, edited and created a digital production, learned the inner-workings of radio and conducted live press conferences with AC staff. "I was a little nervous with all the professional cameras and everything, but it was fun," Ryan Crawford, an eighth-grader at Bonham Middle School, said about conducting the press conference. Students also recorded public service announcements with the help of FM 90 Program Director Mike Fuller. "I think it was a very good experience to go through to get training for future experiences," Luke Marek, an eighth-grader at de Zavala Middle School, said. Registration continues for other programs through Kids' College, which continues all summer.